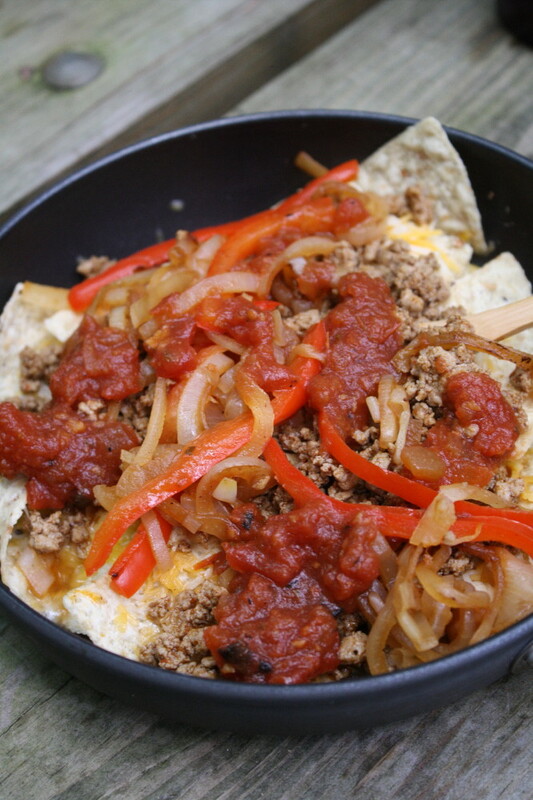 Nachos with corn tortillas, ground turkey seasoned with taco spices, peppers and onions, and fresh salsa. Summer is in full swing, and the Fourth of July is just around the corner, which means that camping—and grilling—season has arrived. 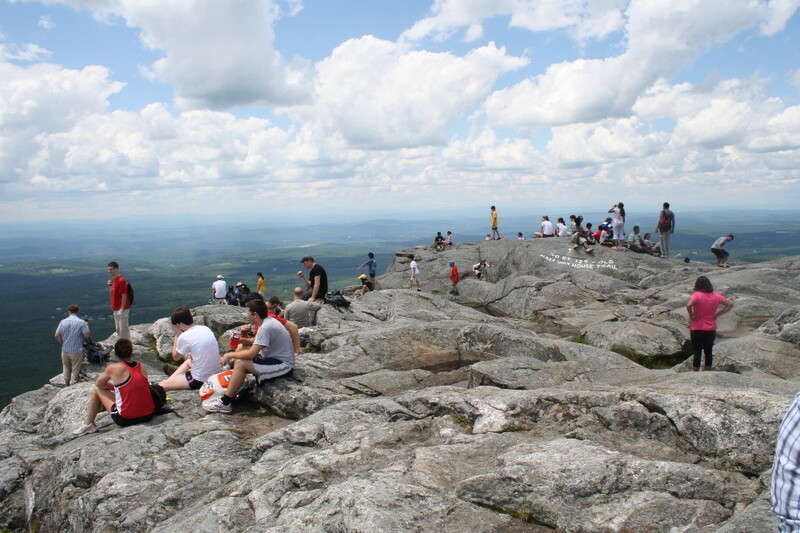 This past weekend we ushered in the season in grand style with a camping trip to Mount Monadnock in southwestern New Hampshire. We pitched our tent at the Gilson Pond area of the state park, in a convenient site that allowed us to do it “car camping” style. 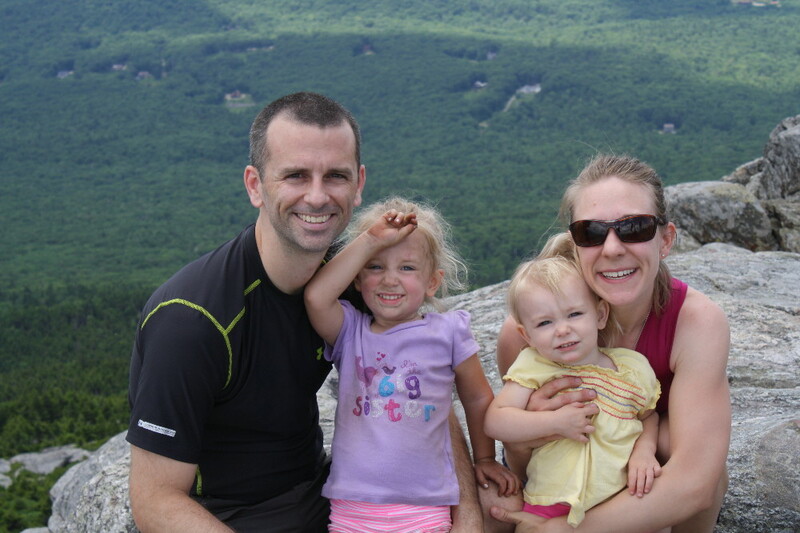 On Saturday we tackled the famed Mount Monadnock, often hailed as one of the most climbed mountains in the world (the crows we saw during our ascent of the White Dot trail/route certainly seemed to confirm as much). And on Sunday we took a dip in nearby Thorndike Pond. Glorious. Back in the days when it was just us, we were mostly backcountry campers—we’d carry everything on our backs in expedition packs and hike miles into the mountains to camp in secluded valleys and climb tall peaks. 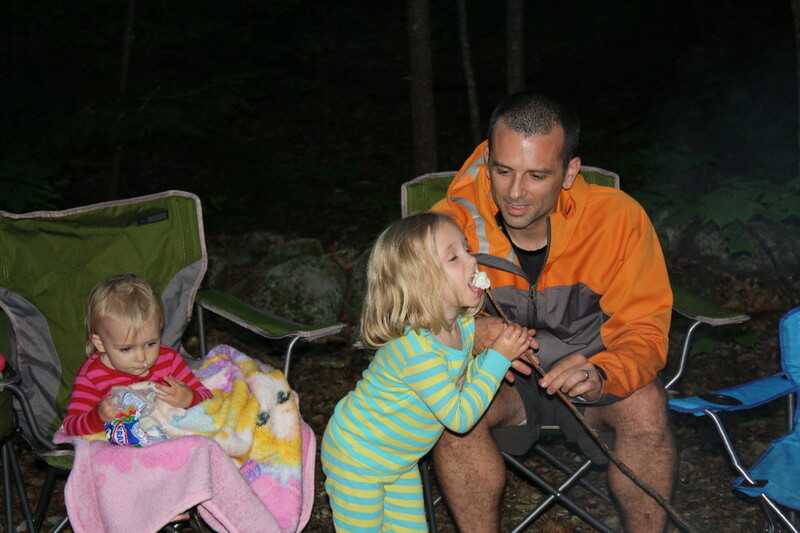 Now that we have young girls, we’re doing much more car camping, which allows us to bring more creature comforts from home, offering them a mellow introduction to the outdoors: toys, extra blankets, pillows. 1. Since you’re not limited (as much) by space and weight constraints, you can bring along larger and heavier pots and pans, knives and utensils, etc. 2. And since you can bring along a big cooler full of ice, you have portable “refrigeration,” allowing you to bring along otherwise perishable goods. If we’re going to car camp, we like to take full advantage of such benefits. Bacon as part of breakfast. In addition to what food to bring and what meals to plan, another important question to answer when you’re gluten-free is how to safely cook that food. Sure, you could bring a camp stove from home, and do all your cooking on that. But when we have the chance, we love to cook over an open fire. Most campgrounds will have a fire ring/pit and a grill grate. 1. Bring aluminum foil and lay sheets across the grate. This is effective at preventing cross-contamination, but I don’t like the way heat transfers through to the food. 3. Bring your own grill grate. You could either use it in place of the existing one, or lay yours directly on the top of the other. This could be a full-size grill grate, or it could be a “grill basket,” like you might us on your grill at home to prevent vegetables and such from falling through the grate. It’s a reasonable and reusable option, though it can be bulky to transport, and messy to bring home with you in the car. 4. Do all your cooking in pots and pans. Self-explanatory, I hope. 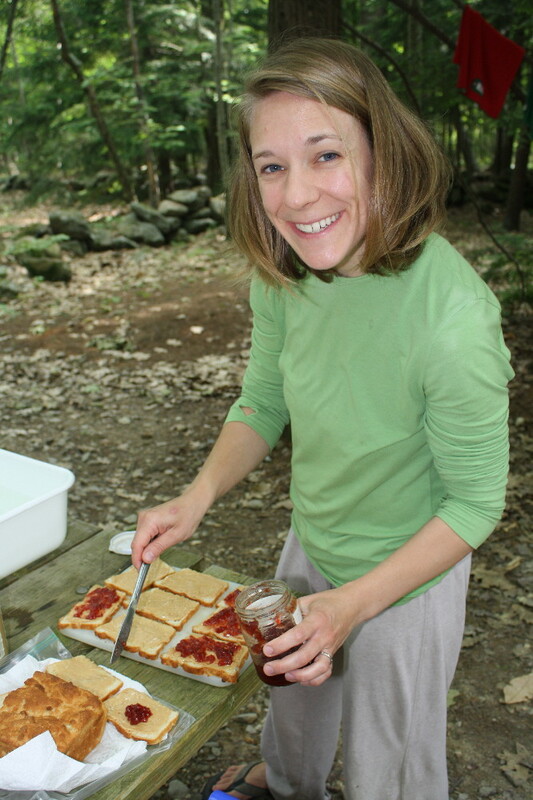 Sandwiches on homemade gluten-free bread for our climb of Mount Monadnock. 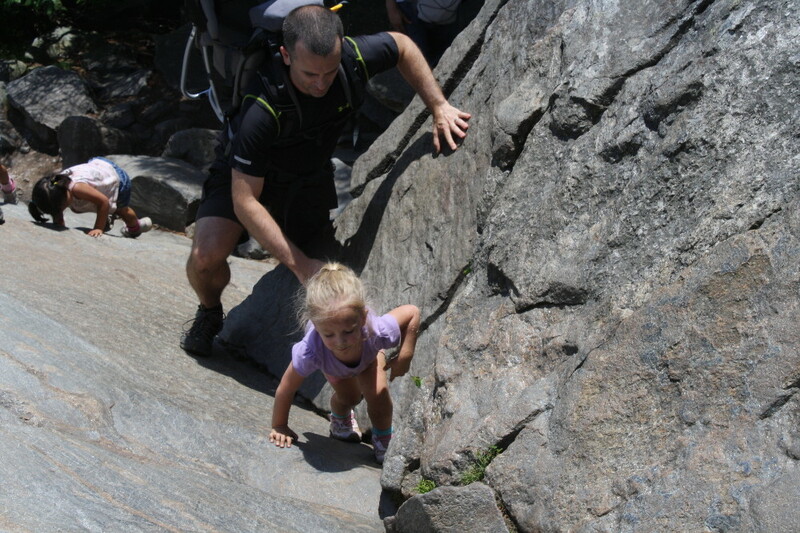 Scrambling up rocks en route to the top. As for the actual meal planning, the sky’s the limit when you’re car camping with ample cooking supplies, a cord of wood (or three), and a cooler stocked with ice and yummy food. 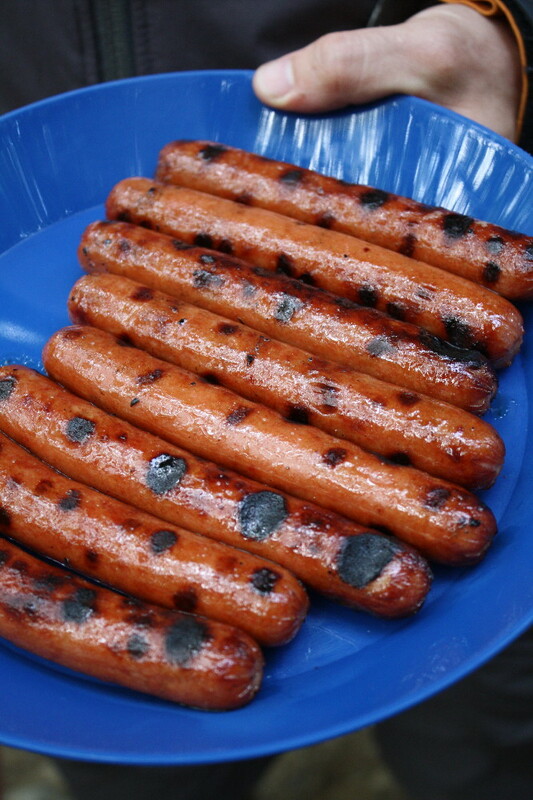 We have our standard campfire favorites, including hot dogs, corn on the cob, and pouch potatoes. 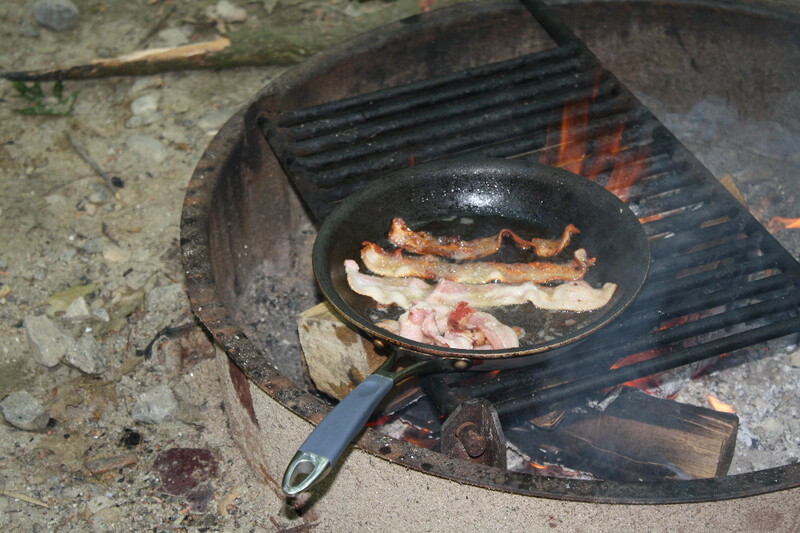 But also like to take popular dishes from home, and deconstruct them for camping. Take, for example, nachos (in the top photo above). Normally we might make fresh corn tortillas, cook up some ground turkey with taco spices, grilled the peppers and onions, make some rice, etc. and have a hearty plate of tacos. 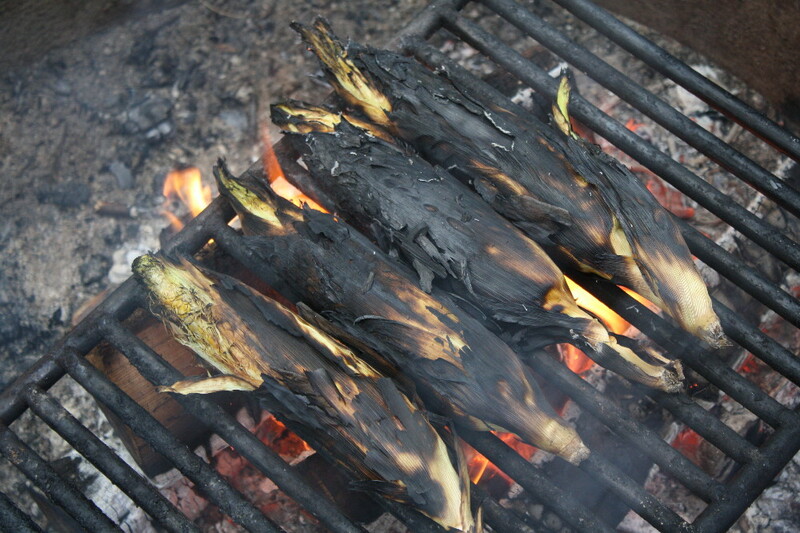 Instead, we brought along a bag of our favorite crunchy corn tortillas and use those as our “taco shells” to pick up and eat the fixin’s, which were all cooked over the open fire in a skillet. We also had plenty of water, juice, naturally gluten-free hard cider, a 6-pack of homebrew gluten-free beer, and snacks. It’s perfectly cooked on the inside. Roasted marshmallows and gluten-free s’mores. A must for any camping trip. This upcoming weekend we’ll be headed into the forest once again, but this time there won’t be any camping or hiking/scrambling up a mountain. Team Bronski is headed to Finger Lakes National Forest, where I’m racing in my next ultramarathon of the season, the Finger Lakes Fifties trail run. Full race report to come next week! P.S. 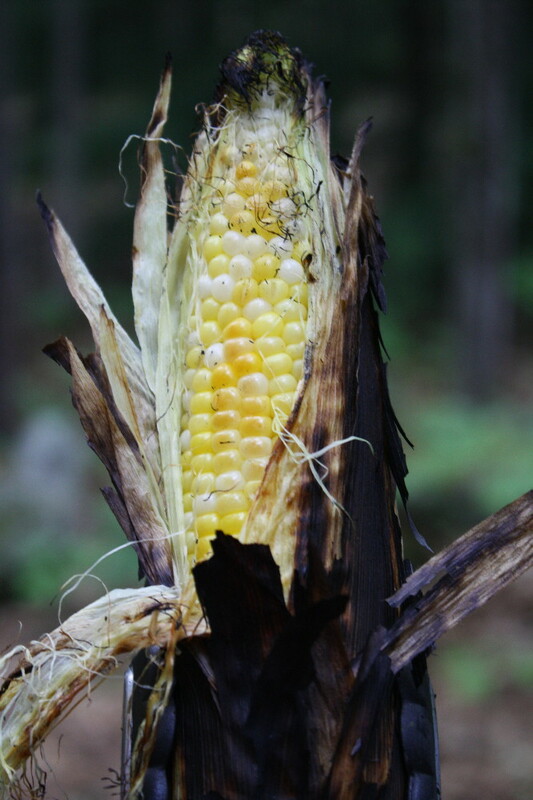 My Gluten-Free Edge coauthor Melissa has a post on gluten-free “Backcountry Nutrition for Peak Performance” over on her blog, Gluten-Free for Good. Check it out for more great info! 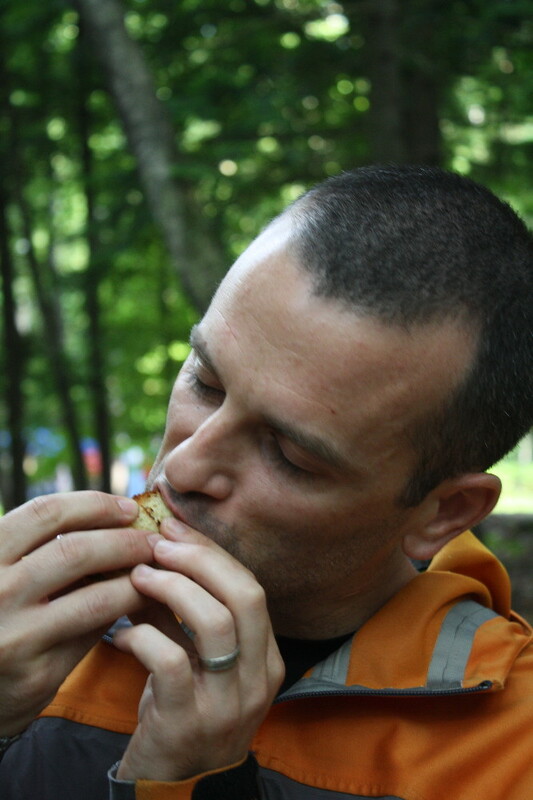 When camping, food is the best part. While reading your blog, I am trying my best not to spill my saliva from my mouth. 😀 Great insights form you and good blog.